By this point in the book of Jonah, so much has happened at a very fast pace. God tells Jonah to “get up and go” to Nineveh – a large city in the middle of a nation that is an enemy of Israel. Jonah decides to “get up and run” and gets on a ship heading to Tarshish. In terms of geography, Jonah is headed in the opposite direction. A storm rolls in and the sailors are scared to the point they are throwing their cargo into the see. Then the captain finds Jonah asleep in the bottom of the ship and wakes him up. That brings us back to the problem at hand. There’s a problem – a huge problem! This storm is threatening their lives and they are looking for a solution to the problem. They turn to chance. The casting of lots is used throughout scripture and it was seen as putting the situation in the hands of chance. There are no politics and agendas when you cast lots. 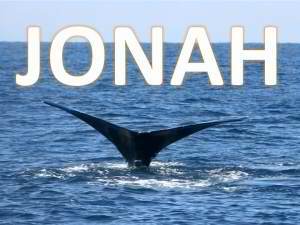 Interestingly, the lot falls on Jonah. It seems to be a confirm what everyone else on board has been thinking but hasn’t said aloud. They ask, “Who are you and what have you done?” Jonah declares that he follows and worships God. It’s a statement that leads to even more questions because Jonah has already revealed to them that he is, in fact, running from the very God he says he worships and follows. It’s interesting that Jonah declares that he worships and follows God, but, to this point in the story, he’s lived a life that seems to run counter to the claim. The sailors listened to what Jonah said and they’ve witnessed the actions he has taken among them. The sailors call Jonah out on his claim and ask, “What have you done?” Jonah’s story (and especially in what happens next) can remind us that others watch us, they hear our claims and professions of faith in God, and then they measure that against the actions and the words that they hear from us. And sometimes that can be very, very scary. The challenge is that it’s more than just talking about God and making claims about being a follower. We have to do more than that. We live out of that belief in a world that’s watching everything we do. We go where God sends us, we love the people God loves (and that’s all of them!) and we live Christ-like lives. This week’s lectionary passage is from Ephesians 4 begins with the imperative to “Live a life worthy of the calling to which you have been called.” May God help us all! Prayer: Gracious and Loving God, we are thankful for our opportunities to connect with and worship you. Help us to live lives where our words and deeds back up our claims of belief. Help us to put love into action. In Jesus name, Amen. Devotion: Jonah 1:5-6: Wake up!